Azithromycin is a broad-spectrum “macrolide” antibiotic that is used to treat bacterial infections, particularly Rhodococcus equi (R.equi) in foals. Macrolide is a term that refers to a family of antibiotics that also includes erythromycin and clarithromycin. When azithromycin is used to treat R.equi, it may be used alone or in combination with the antibiotic rifampin. Azithromycin is well absorbed orally and drug levels remain high enough that it generally is given once a day. Like many other drugs in veterinary medicine, azithromycin is not FDA approved for use in animals and is not available from a veterinary pharmaceutical manufacturer. However it commonly is prescribed by veterinarians to treat R.equi infections in foals and is considered accepted practice. 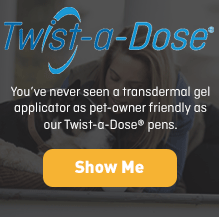 Because there are no FDA approved azithromycin products available for animals, your veterinarian may prescribe azithromycin that has been compounded by a specialty pharmacy. 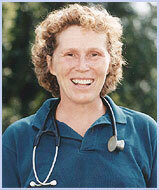 Give this medication to your foal exactly as your veterinarian prescribes. If you miss giving your foal a dose of azithromycin, give the next dose as soon as you remember or, if it is close to the next scheduled dose, return to the regular schedule. Do not double dose to catch up. Wash your hands after giving your foal this medication. 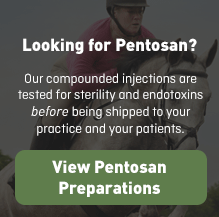 Immediately clean up any medication that has spilled in the stall or on the foal. The most common side effect is mild to moderate diarrhea. Hyperthermia (increased body temperature) is a serious and potentially fatal side effect that may be seen in foals that are being treated with any macrolide antibiotic, including azithromycin. These foals can be very sensitive to heat and possibly to bright sunlight. Because of this potential problem, your veterinarian may advise you not to turn out your foal in the daytime and may severely limit your foal’s overall turnout time. Foals that develop hyperthermia will have, in addition to an increased body temperature, respiratory distress, panting and possibly seizures. Should hyperthermia occur, it is a veterinary emergency and you should seek veterinary help immediately. Aggressive cooling using water and fans or air-conditioning can be helpful. Azithromycin should not be used in animals that are known to be allergic to this drug or any other macrolide antibiotic, such as erythromycin or clarithromycin. Macrolide antibiotics, including azithromycin, are not used in horses one year of age or older due to severe, potentially fatal, diarrhea. Severe diarrhea has been reported in mares whose suckling foals were being treated with erythromycin (another macrolide antibiotic), probably because the mares were exposed to the spilled drug in the environment or on the foal’s skin. Extra care should be used to minimize or prevent exposure to the mare. Azithromycin is metabolized by the liver. This drug should be used with caution in animals with liver problems. Be sure to review with your veterinarian any medications or supplements your foal may be receiving. Oral antacids may reduce the rate of absorption of azithromycin. If you suspect your foal or another animal was accidentally overdosed or has eaten this medication inadvertently, contact your veterinarian or the A.S.P.C.A.’s Animal Poison Control Center at 888.426.4435. Always bring the prescription container with you when you take your foal for treatment. Rhodococcus equi (R.equi) pneumonia is the most severe bacterial pneumonia in foals. All forms of R.equi infection can be very difficult to diagnose and abscess- formation due to the R.equi bacteria can make these infections difficult to treat. In addition to the lungs, other sites of infection can include the gastrointestinal tract, and joints or growth plates. Fatalities can occur even with prompt diagnosis and treatment.